Leaders are often in a tug-of-war, facing countless conflicting demands such as planning vs. action, competition vs. collaboration, change vs. stability, and work vs. home. In order to thrive, leaders must wrestle with these competing values and tackle crux issues head on. 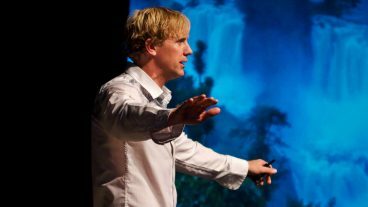 Tim Arnold provides his audiences with a unique framework and powerful tools to understand and succeed in mastering the complexity they face in their professional and personal lives. At a recent At the Spotlight event, Arnold went into the details of differentiating problems from stresses in the workplace and finding the right way to tackle the back-and-forth issues that come with tensions. Watch a clip of that above.